Although it’s been quieter in the last few weeks regarding reviews of movies past and present it doesn’t mean I’ve forgotten about it entirely. Its quite the opposite because I’ve seen so many movies in the last weeks that I almost lost count. This not only includes movies of 2010 and 2009 but also – and more importantly – movies that are considered classics in their respective genre. (Yeah, there still are many ‘classics’ I still haven’t seen). I am dead on to review each and every movie in this list, although I have to admit that it will take some time because those won’t be the only movie reviews that will be done in the following months. Another thing is the experiment mentioned in the title. You might have noticed that there are some anime movies in this list, mainly (or better solely) by Studio Ghibli. That’s no coincidence, because I planned some time ago to dig deeper into the world of anime (and also started by reviewing some anime movies). 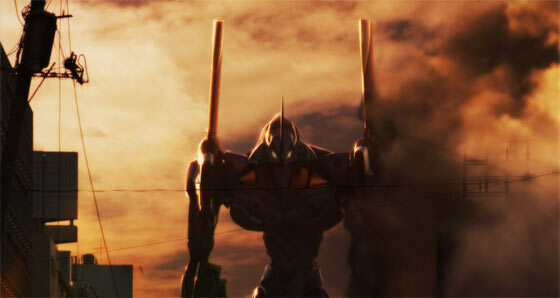 In that regard I not only plan to get my hands on Summer Wars, but also on Neon Genesis Evangelion. And that’s the exact point, where the experiment begins. Some of you might have heard from this multi billion dollar franchise, created by Studio Gainax and the creative mastermind Hideaki Anno. Neon Genesis Evangelion started as an anime series that aired in the mid 90s. It received quite some good reviews but spurred some controversy over its final episodes (which is always a good sign). Now, a decade later, the creative mastermind decided to completely reimagine the series in the course of four movies called Rebuild of Evangelion. As of now, two movies have been released and received rave reviews from almost everywhere. As soon as I finished to review the listed movies above I will fully review – for the first time ever on this blog – an anime series. This means I will review each and every episode that’s been produced (26 to be precise). Once finished, I will watch the new movies and will not only review them but also point out the differences between them and the series. I am quite hyped about all this because I always had the vision of once reviewing an anime series. Since anime episodes normally have a runtime of 25 minutes, they are not only fast to watch but also short enough to discuss them in detail, something that’s quite impossible for a movie review given the time I have. If the episodic anime reviews turn out to be successful I am quite sure I’ll review other series I’ve been interested in for some time now. I hope I’ll finish the whole list in this year.